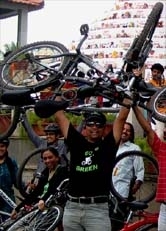 GoGreen Team @ Infosys Cyclothon - GGI-Group size: 4000+ Professionals, Increasing on day to day basis, Come & join us 2 serve Mother Nature. We all planed to reach Infosys Gate No 6 by 4:45pm. After reaching the place noticed my mobile drained out of charge. Got inside the campus by 5:00am. 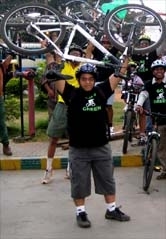 Sunil Neglur who works for Infosys & a member of GoGreen was also participating, He was surprised to see me as a Chief Guest & later was over joyed. 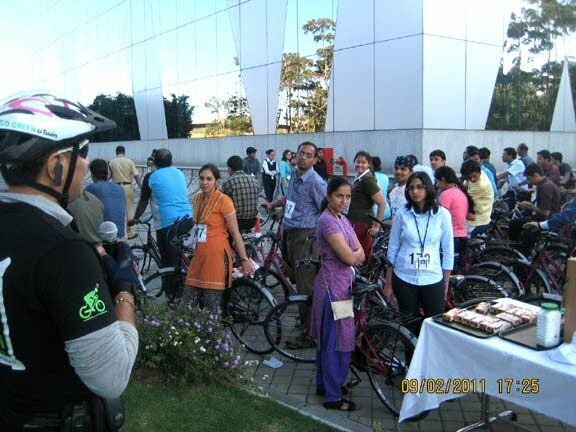 Hundreds of Infosys employees participated in their Cyclothon-2011 event , It was 10 km ride with in Infosys campus where all the participants were asked to take 4 loops of 2.5 km stretch. A time limit of 45 min was given to complete the ride. 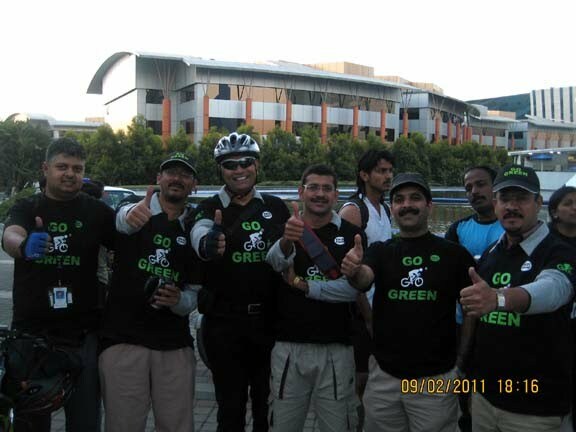 GGR addressed the crowd about Global warming, benfits of cycling & about GGI group & their after flagged of the ride @ 5:30pm. Most of them completed the ride much before 6:00pm. 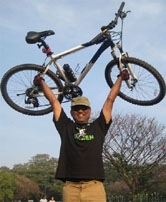 A Decathlon Rock Rider 5.0 was made available for a lucky participant. I picked up the lucky employee's Bib # 122 who rode the Rock rider home. Personaly thank Sumit for working hard to make this happen. I think & feel this is only the beginning, Cheers to GoGreen members, with out u'r support, this day wouldn't have been possible.. "Lets keep up the good work"